This book was received from Ambassador International for my honest thoughts and review. For an "honest" review and thoughts, I have to say that most of this isn't something that I can understand. Some pieces make since and others were mostly to me, rambling. Someone smarter than I am may have a better time with the book. He doesn't come out and name the coming "beast from the abyss", but he does go into explaining many details and events that will be taking place during the time of the Revelation. His writing is straight forward and does take you through the "Bible" to understanding of what to look for. 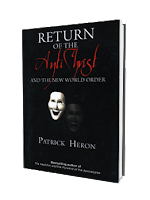 It even explains the individual characteristics of the AntiChrist. These are the things that are and will be in the book of Revelations. Hi everyone, it's my first visit at this web page, and paragraph is really fruitful in support of me, keep up posting these types of articles.